The annual show and sale of Suffolk in-lamb females and ewe lambs at Beeston, sponsored by the Farmers Guardian, saw the winning ewe and overall champion lead the trade at 2,400gns. A ewe from the Knockem Flock from Bryden Nicolson, Duns, Berwickshire, sells for 2,400gns. This was a three-crop ewe from the Knockem Flock from Bryden Nicolson, Duns, Berwickshire. 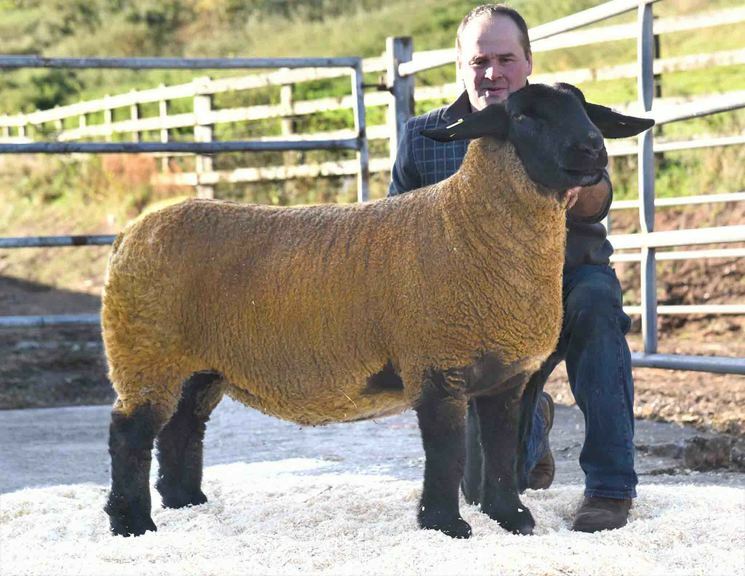 A daughter of Burnview Bruno, it was sold carrying a single lamb by Sunnyhills The Stig to the judge Mark Priestley, Downpatrick, County Down. A one-crop ewe by Lakeview Heeza from the same vendor sold for 2,100gns. 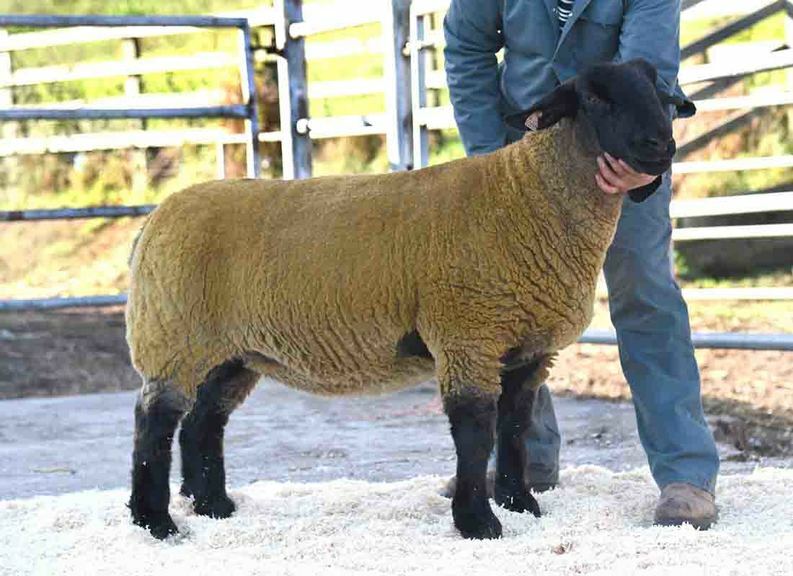 It was sold carrying twins to the 25,000gns Rhaeadr Rolex to Stephen Cobbald, Acton, Suffolk, who also bought the Ballynacannon Blaze sired winning gimmer and overall reserve champion for 2,000gns. A winner at Cheshire show, it came from Keith Thomas, Hilderstone, Staffordshire, and was sold carrying twins to Burnview Hurricane. Another from the Knockem flock sold for 1,350gns. This Strathbogie Jackpot sired gimmer sold to Sandra Woodend, Bootle, Cumbria. Jimmy Douglas, Fraserburgh, consigned 46 from his Cairness Flock and sold to a high of 1,200gns for a one-crop daughter of Cairness Diamond Jubilee. The buyer was Michael Waycott, Devon. A Burnview Hurricane daughter was at the same money. This gimmer lamb from Mr Thomas sold to S. Craft, Glenrothes, Fife. Winning gimmer and reserve champion from Keith Thomas sells for 2,000gns. 187 head, £590.13; 109 in-lamb flock ewes, £564.01; 2 ewes not in-lamb, £147.00; 47 in-lamb gimmers, £674.90; 28 ewe lambs, £564.38; 1 stock tup, £525.00.